The Egyptian food truck now has a restaurant in Falls Church. Dina Daniel at Fava Pot. Photo by Dixie Vereen. 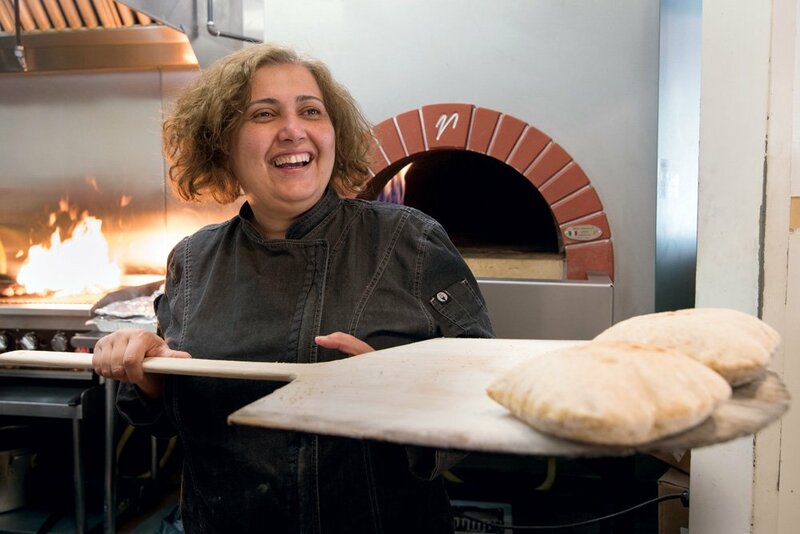 She bought a truck, outfitted it, and in 2013, donned an apron and launched Fava Pot, a restaurant on wheels featuring Egyptian specialties such as koshary (lentils, macaroni, chickpeas and rice with tomato sauce and fried onions); gollash (meat pie); stewed fava beans with red-onion salad; and kunafa, a dessert pastry made with sweet cheese and phyllo dough soaked in sugar syrup. Customers couldn’t get enough of the truck, which still makes the rounds in Ballston, Rosslyn, Crystal City and Courthouse. So Daniel started contemplating a brick-and-mortar expansion. Politely ignoring a real estate broker’s advice to forgo permanent space (in light of her inexperience), she wrote to EDENS, the master developer of the Mosaic District. A sales rep there appreciated her moxie and in 2017 suggested one of their properties off Lee Highway in West Falls Church—a space previously occupied by a bagel shop. “She said to me, ‘Dina, this place will be successful because you’ve got passion,’ ” says Daniel, who lives in Falls Church. Successful it is. On a Tuesday afternoon, I feast on an order of breaded veal escalope and a side of creamy macaroni-and-cheese with cinnamon-laced ground beef, happily scooping up fava beans with aish baladi, a wheat-bran flatbread that’s just emerged from the oven.